Some dogs gulp their food like they are starving and then have problems with gas afterwards that doens't bother them but bothers us humans! Making meal time a bit of a play/work time is good for your dog's digestion. 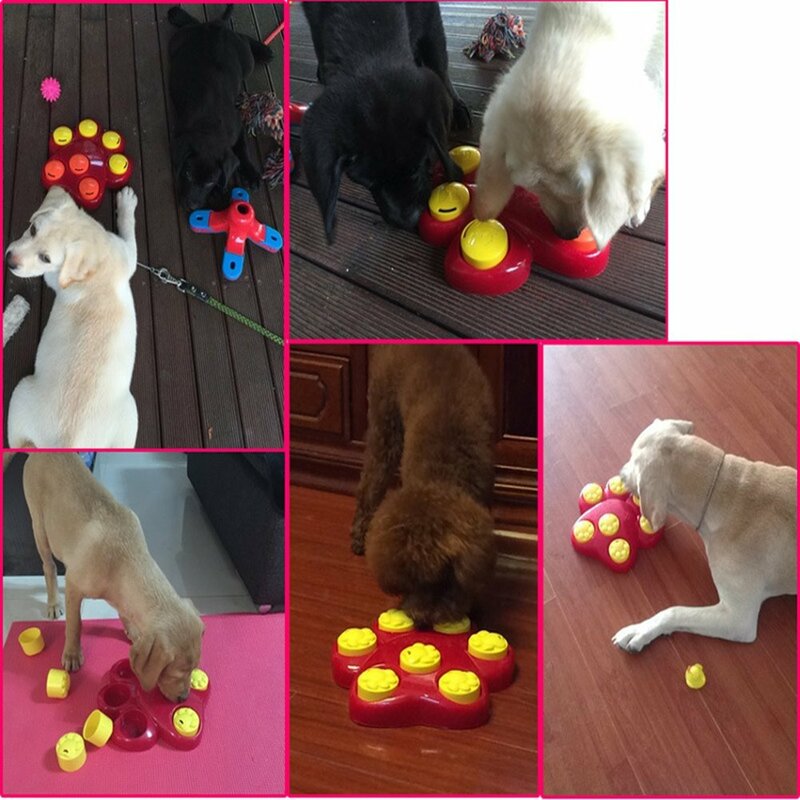 It engages them when eating, and gives them something to work with. They will savour their prize and take their time eating, which in turn helps with the gas situation and bloating. These have become very popular now as a way to help with bad behavior with dogs. By making them work a little bit for their food, they will burn energy trying to get it, and have to use their hunting skills and figure out how to get at the food and the reward.. 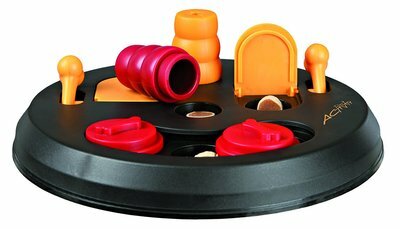 The above 3 interactive Dog Feeders have over 1500 views with happy customers. 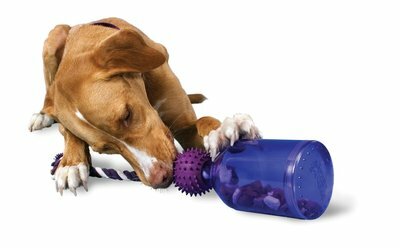 This will slow your dog gulping down and give him something to do for his food to keep him engaged and active. 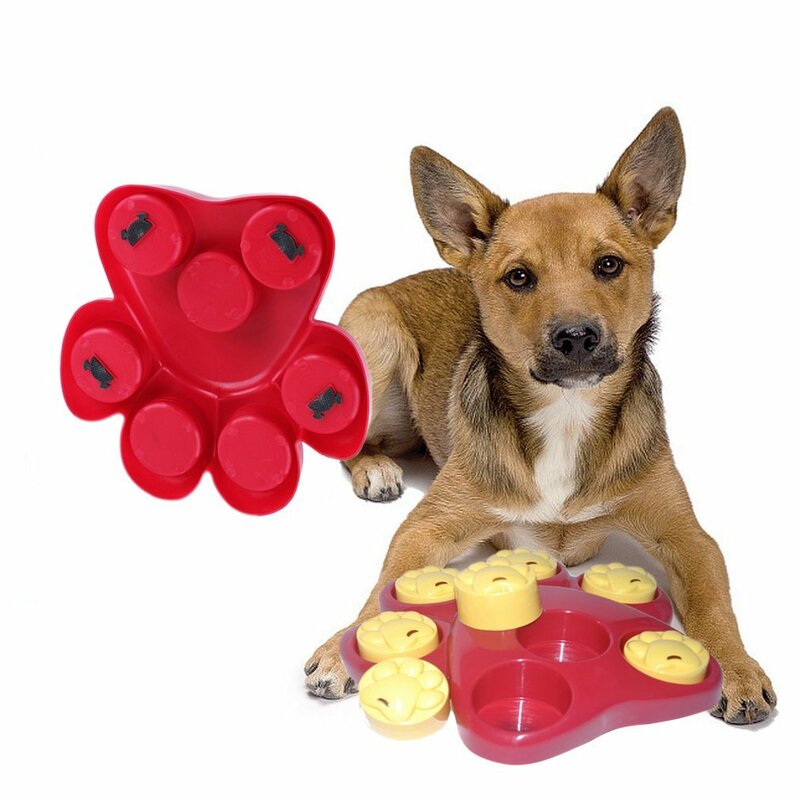 This is another great slow dog feeder or interactive feeder that engages your dog to think about how to get their kibble and therefore slows down fast eating and helps with digestion of food. This feeder looks and feels like tufts of grass, and your dog simply has to get his kibble out from between the blades. You simply measure out your dog food and basically scatter it on the "grass" and he will have to hunt it and eat it one at a time. You will actually see your dog chew! 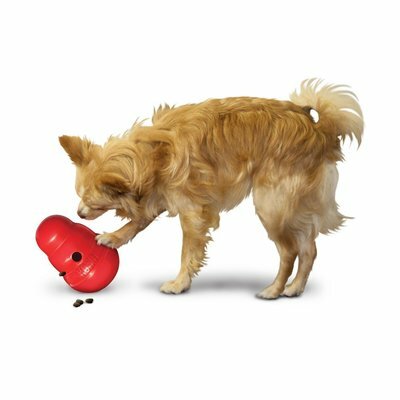 You can use this slow dog feeder ball for treats and part of a game or you can fill it with the measured kibble you normally feed your dog and then watch him work at getting the goodies out of the ball. By rolling it around one or two may fall out and he will stop and eat those first, which slows digestion. He will then be curious enough to continue and it will keep him busy too! Good way to burn off excess energy for indoor dogs and especially when you are not there. Simply fill the ball and head out the door and you know he will be kept busy! See my page on Slow Feed Dog Bowls for more ideas.